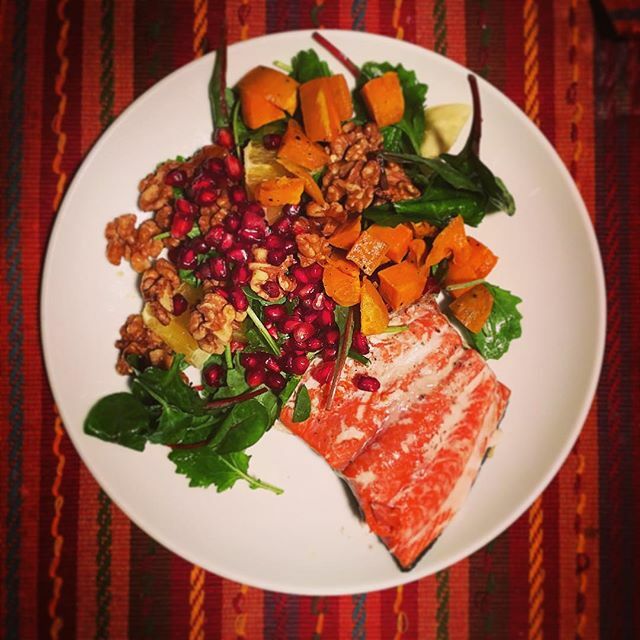 Winter Dinner: Wild caught salmon, sweet potato, baby kale, citrus, pomegranate and maple candied walnuts. Thanks @fitnfreelife! Glad you’re here too!